Comments/Context: Imagine reading this one line event listing in some current magazine: "Heinrich Kuehn at the Neue Galerie - carefully staged photographic portraits and landscapes, augmented by complex technical manipulations". Based on this description alone and without any clue that most of these images were made more than a century ago, it would be perfectly natural to assume the show contained cutting edge contemporary work, as our digital world is now full of staging and manipulation. 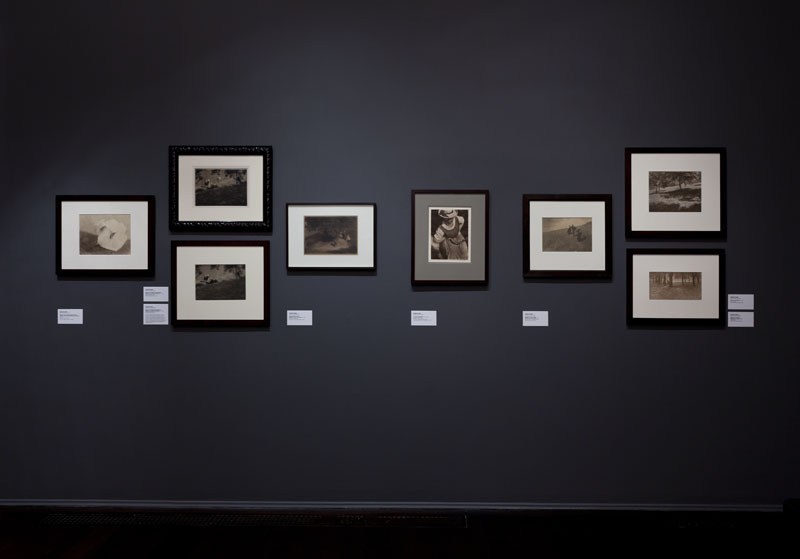 Of course, these works were made in a turn of the century Pictorialist style that now seems dreamy and dated, but the parallels between the two time periods make a case for reconsidering just how relevant these works might be to our current dialogue. 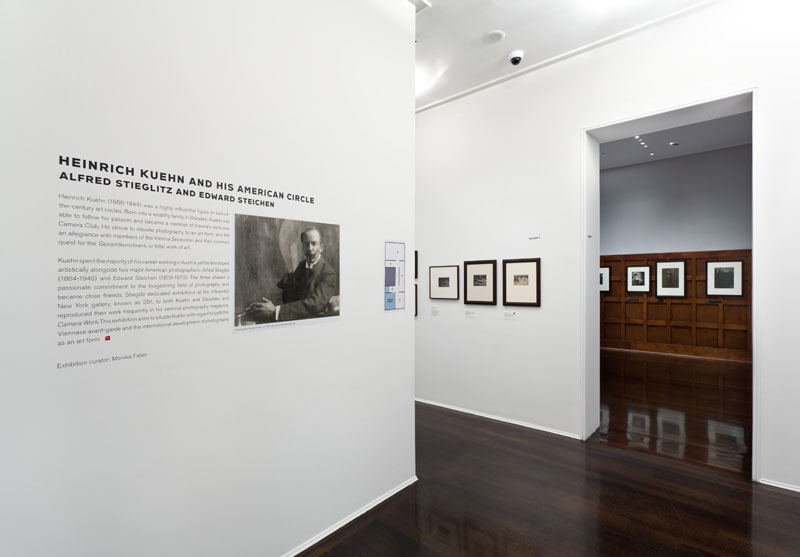 This exhibition lies somewhere between a retrospective and a closely reasoned argument, tracing Kuehn's artistic development in a roughly chronological manner, intermittently tying in the influence of Stieglitz and Steichen. 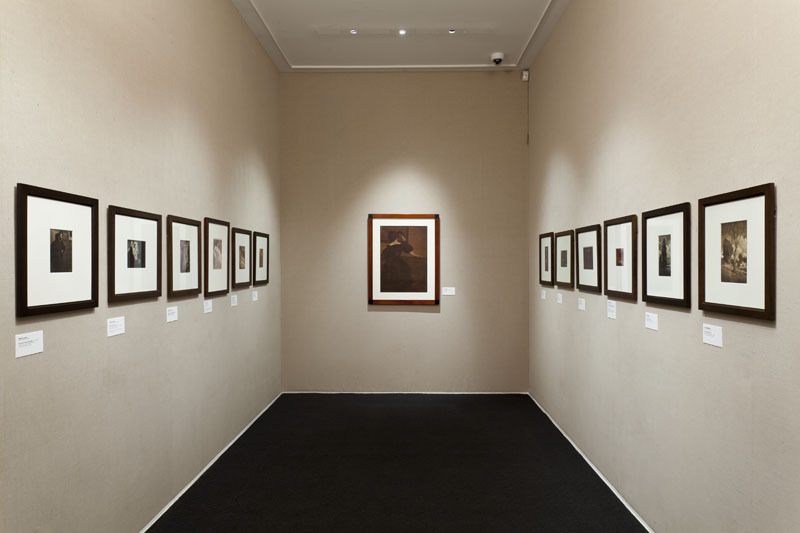 After an opening hallway of back and forth portraits among Kuehn and his famous contemporaries and handful of introductory images, the show moves on Kuehn's early work, almost all of it in colored gum bichromate, where rolling landscapes, cypress trees, and Italian villas are executed in intense atmospheric hues. Using textured papers with mottled surfaces, these images have the look of painterly blurred watercolors, tinted in various pigments from thick grey and warm brown to soft blue and rich orange. 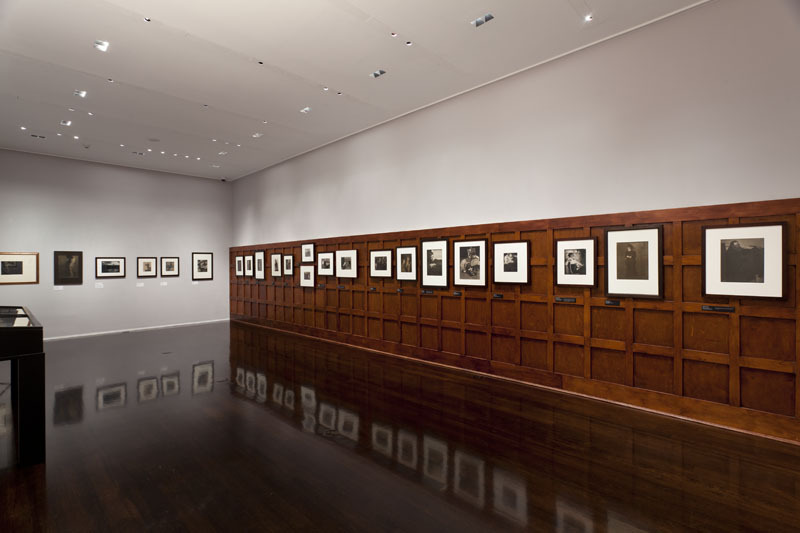 One wall in this room has recreated the show that Stieglitz installed in his gallery 291, showing Kuehn's work (as well as those of a few others in his Viennese avant-garde circle) against a light brown wall with a pleated green cloth curtain below (installation shot at right, second from the top). This was a time when photography was still struggling to secure its place as fine art, and these works (and the installation) did their best to strip away the mechanized reproduction of the camera and substitute in a more intimate, personal, hand crafted aesthetic, reminiscent of painting. After a small room of images by Kuehn and others which were reproduced in Stieglitz' influential journal Camera Work, the show moves on to document Kuehn's evolution as an artist over the next decade or two, where his windy colored landscapes are entirely replaced by portraits of his children and their nanny, nudes, still lifes, and other carefully composed outdoor genre scenes. Led by Stieglitz and Steichen, Kuehn clearly started down a path toward Modernism, changing his camera angles and subject matter, only to ultimately reject the forward momentum of that movement, turning back and recommitting himself to the painterly perfection and compositional harmony he preferred. In these works, Kuehn's control over all the elements of his photographic process is extremely rigorous, eliminating any chance elements or spontaneous moments. The images are entirely pre-visualized, often sketched out beforehand and then executed with methodical attention to detail, his models posed in custom color-coded clothing to ensure proper tonal matching and contrast, the light managed to avoid unwanted shadows. The resulting images have a timeless, peaceful, almost fairy tale quality, looking back to happier, better times, rather than forward. Many of the works are meticulous, nearly scientific studies of tonal values, catching the highlights on a white dress and contrasting them with the dark areas of a formal hat, or letting light dissolve into abstraction when seen through a drinking glass or still life vase. Outdoor scenes play with the balance of black and white smocks and dresses against the land, using them to manage the weights of a wider composition, and Kuehn's sensual nudes of Mary Warner use her long dark hair as a counterweight to the lightness of her skin. The final room displays a series of images of hikers on a hillside and beneath a tree, where Kuehn's total management of the process is reinforced; one scene waits for a certain cloud formation, another times specific distances between the individual subjects in the group, and a third retouches out a hiker who has strayed into the wrong place. 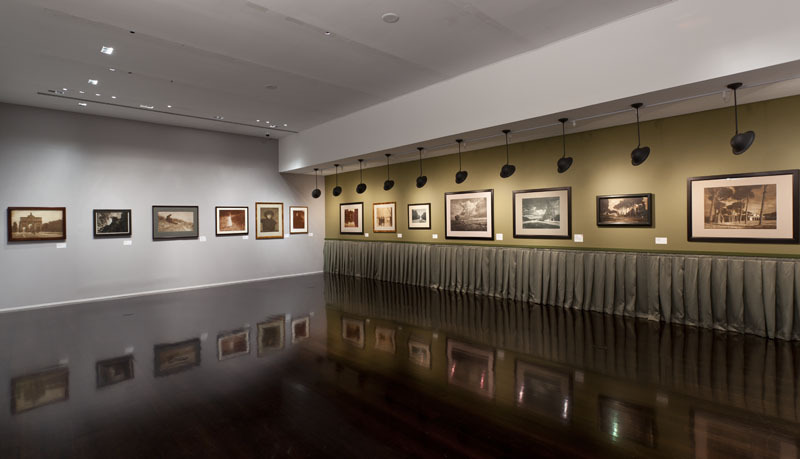 While the show does connect the dots between Kuehn's artistic evolution and the influences of Stieglitz and Steichen, what was most surprising to me was just how far Kuehn had taken his efforts to control the look and feel of his output. The show is a parade of different arcane print types and technical innovations, each one carefully optimized by Kuehn and then matched to certain pictorial circumstances and desired outcomes. And then each composition left nothing to chance, every single fold of a dress, tilt of a hat, or roll of a background meadow placed just so. If these works are not dreamy stolen moments from a bucolic, soft focus, 19th century childhood but instead premeditated scenes designed and built for particular effect, there is certainly an added dimension of exacting intent and thoughtful execution to be considered. I came away from this exhibit with an entirely different view of Heinrich Kuehn than I had previously had, one of an artist painstakingly struggling to bring forth his own vision of the best of photography, using every trick in the book, even when he defiantly knew that the world was passing him by. Collector's POV: This is a museum show, so of course, there are no posted prices. Kuehn's work has been consistently available at auction in the past decade, with prices ranging from roughly $1000 (generally Camera Work photogravures) to $26000. 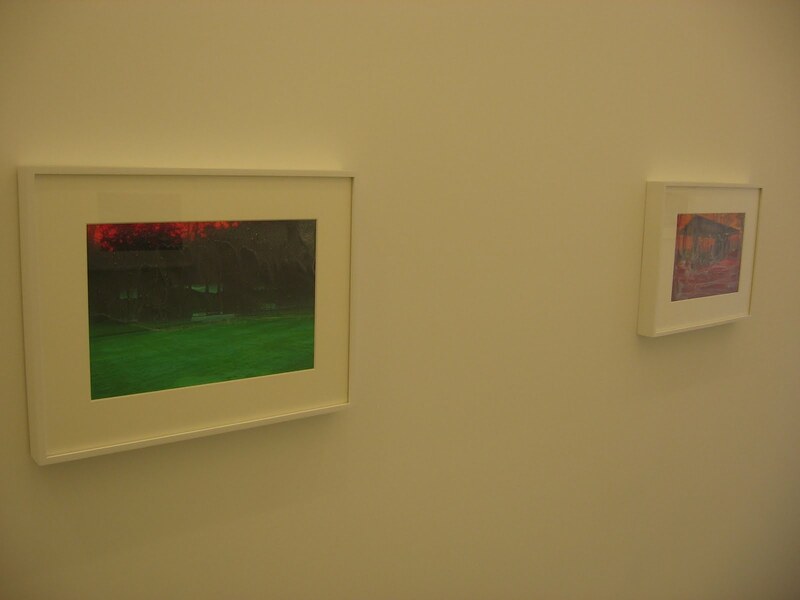 There are two gallery shows of Kuehn's work on view in New York for those collectors interested in following up: one at Howard Greenberg (here, through August 3rd), and the other at Hans Kraus (here, through June 29th).